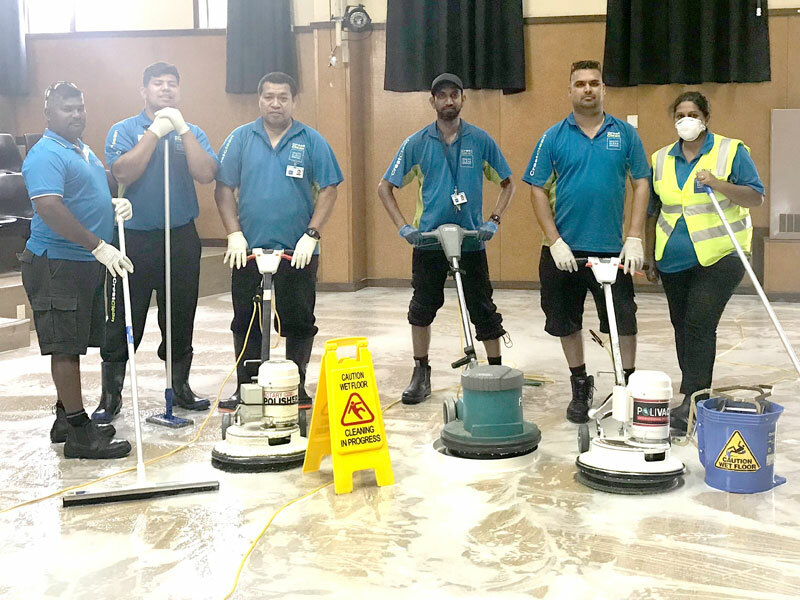 A training venue threw up a tough challenge for CrestClean franchisees learning the latest techniques in floor care. Dan Pariachi, a trainer for Master Cleaners Training Institute, says layers of old polish on the floor of a hall at Cromwell College he was using to demonstrate stripping and polishing required a lot of hard work to remove. But although a challenge, it was the sort of situation floor care experts might occasionally encounter in their day to day work, says Dan. Dan says the exercise showed course participants a real life example of how hard work pays off and persevering with tried and trusted techniques can eventually put the shine back on an old floor. The three-day programme covers a range of tasks, including health and safety, gaining competency, safe use and care of the machinery, and scrubbing and buffing floors. Making the grade as a floor expert requires determination and a strong commitment from franchisees, says Dan, who was impressed with the CrestClean business owners’ attitude. “They were asking lots of questions and really eager to learn. They were hands-on and didn’t miss a chance to get involved. “As soon as I demonstrated a technique they wanted the chance to try it for themselves,” he says. 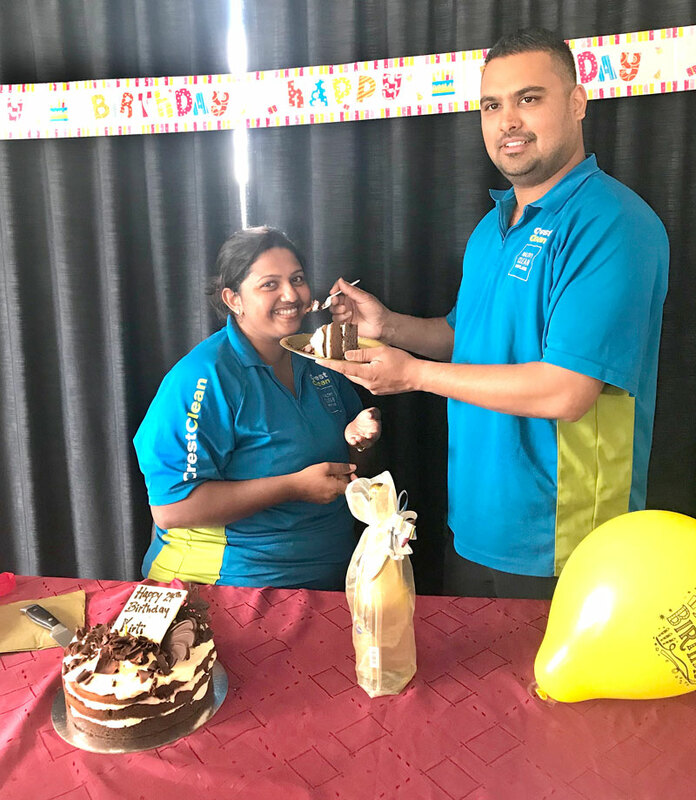 Among the course participants was CrestClean franchisee Kirti Naicker, who celebrated her 27th birthday while attending the event. Kirti was floored when Dan sprang a surprise for her by unveiling birthday cake at the end of the course. Dan says he couldn’t let occasion pass without marking the moment for Kirti and her “CrestClean family”. Kirti Naicker with her husband Alvin Kumar helping to celebrate her birthday.